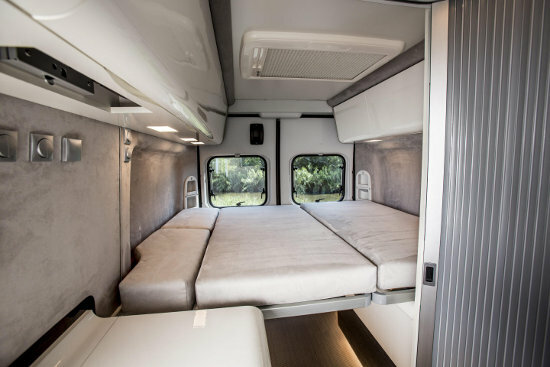 Fiat has released pictures of an 4-wheel drive Fiat Ducato Expedition camper vehicle. 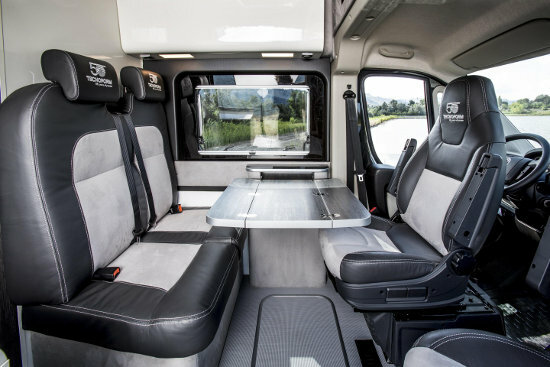 It’s only a concept for now but provides a tantalising glimpse of what the firm could do if it chose to compete with the Mercedes-Benz Sprinter 4×4 and Transit AWD in the 4×4 van stakes. 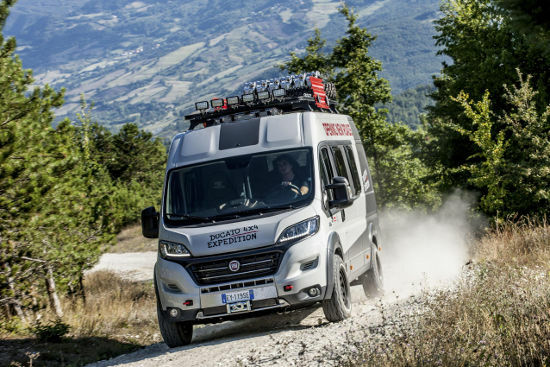 The Ducato 4×4 Expedition will be on display at the Düsseldorf Caravan Salon, and at the Birmingham NEC show later this year. 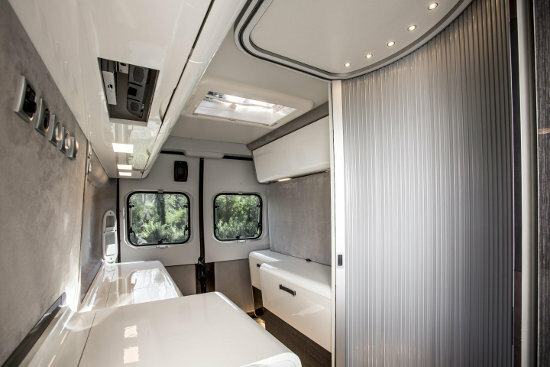 Inside, the Expedition camper has a custom Tecnoform interior, including furniture with integrated lighting and entertainment system. 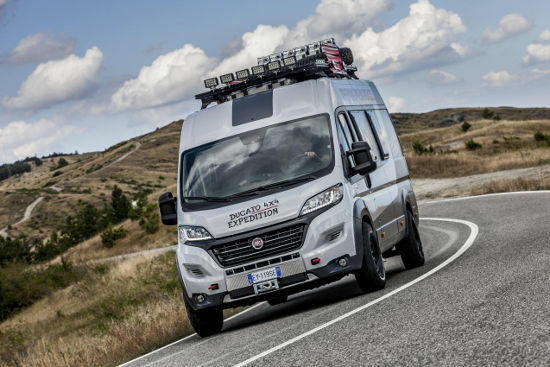 Fiat says that although the Ducato 4×4 Expedition is not destined for showrooms, Fiat Professional is analysing the market to stay abreast of new trends. Visitors to the Fiat Professional stand will be invited to fill in a questionnaire to learn more about their expectations in terms of products and services for motorhomes — and if you’re not going to Dusseldorf or Birmingham, a survey is also available on the fiatcamper.com website. When is it going to be available in the UK if ever possibly in a disabled configuration for a wheel chair? This was only a concept vehicle, I don’t think Fiat have any plans to put it into production unfortunately.